Ilkley, UK – Bradford Council’s Labour Group votes by overwhelming majority to not renew grouse shooting rights for Ilkley Moor, a move that has been strongly welcomed by wildlife campaigners. Bradford Labour is the largest party on the Council and ending grouse shooting is also backed by Bradford Liberal Democrats, Bradford Green Party and the majority of Independent councillors. 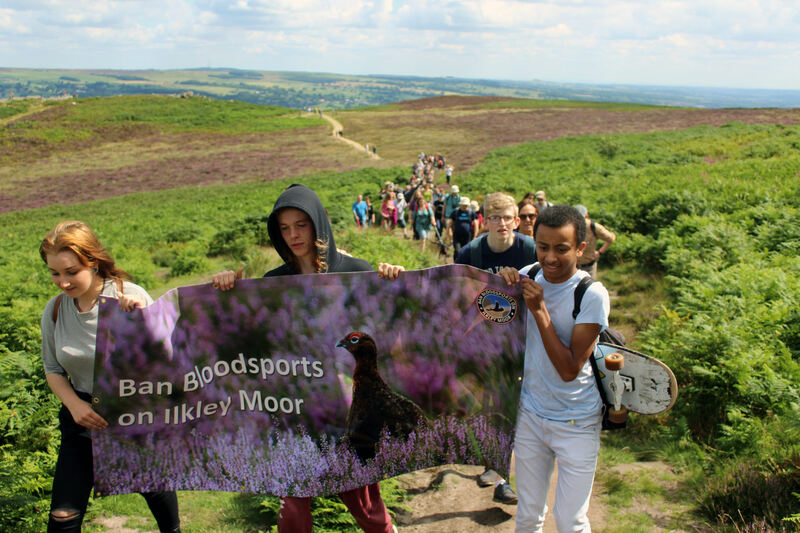 Ban Bloodsports on Ilkley Moor (BBIM), which has lobbied Bradford Council to end grouse shooting on the moor since its formation in May 2014, has strongly welcomed the move. The group notes that over half of protected breeding bird species have declined or become locally extinct on Ilkley Moor, government figures collated by the RSPB Northern England office show. It has urged for efforts to now be focused on reversing the wildlife crash, which has negatively impacted on the moor’s population of specialist species, including Merlin, Dunlin and Short Eared Owl, and could result in the loss of the site’s conservation designations if declines continue. Luke Steele, Spokesperson for BBIM, comments: “Bradford Council’s Labour Group decision tonight to not renew grouse shooting rights for Ilkley Moor is to be commended in the highest terms. It reflects the urgent need to reverse wildlife decline, habitat degradation and public dismay which has overshadowed this treasured moorland since grouse shooting was introduced in 2008. Bradford Council is the last local authority in the UK to allow grouse shooting to take place on public moorland. Others, including the Peak District National Park Authority and Sheffield Council, already prohibit the practice on their upland estates, having previously allowed it, and now maintain the land using other methods. During a recent consultation on the future management of Ilkley Moor, the largest number of submissions received by the local authority on any single topic urged an end to grouse shooting.